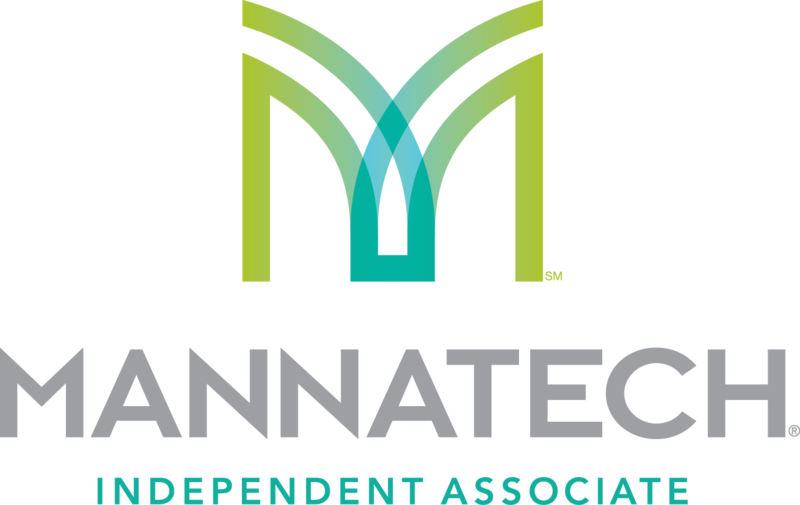 The TruShape capsules from Mannatech provide a metabolism boost that is naturally powered and stimulant-free. This thermogenic (a fancy word for “producing heat”) product supports the stimulation of fat oxidation when used in conjunction with a healthy diet and normal exercise. †When taken in conjunction with a reduced calorie diet (like TruPlenish) and regular exercise. Recommended adult use: Take ONLY one capsule daily in the morning, either with at least 8 ounces of water and food or with a TruPLENISH Nutritional Shake. Arabinogalactans are a class of long, densely branched high-molecular weight polysaccharides extracted for commercial uses from the bark of the Eastern and Western Larch trees, Larix larcinia and Larix occidentalis. Their monosaccharide constituents include galactose, arabinose, glucose and mannose 1. Larch arabinogalactans are considered a good source of prebiotic soluble dietary fiber 2,3. Small amounts of arabinogalactans can be found in some food plants, including corn, carrots, tomatoes, pears, wheat and red wine 4. A human double-blind, placebo-controlled trial indicates that intake of 1.5 grams of a larch arabinogalactan can enhance the antigenic response to a bacterial (tetanus) and viral (flu) challenges in healthy subjects 5. Both Ambrotose powders provide > 1.5 grams of this larch arabinogalactan/day. Two human double-blind, placebo-controlled trials indicated that higher doses of this arabinogalactan (4.5 grams) can enhance the response to a bacterial (pneumococcal) challenge 6,7. Larch arabinogalactans are approved by the U.S. Food and Drug Administration (FDA) as generally recognized as safe (GRAS) (21CFR172.610). The genus Capsicum is comprised of about 20 species of perennial shrubs that are distributed worldwide. The plants have many common names, including red chile, chilli pepper, hot red pepper, tabasco, paprika and cayenne. Cayenne is a spice derived mainly from two cultivated species of the Capsicum genus, Capsicum annum L. and Capsicum frutescens L. Capsicum species have been consumed by humans since about 7,500 BCE; around 5,7000 BCE people began to cultivate the plant for dietary and medicinal purposes. Capsicum species are thus among the oldest cultivated crops of the Americas. Today they are popular condiments throughout the world1. Red pepper products and capsaicins have been of keen interest to scientists interested in providing assistance to individuals striving to lose weight. A human clinical study has evaluated the benefits of the capsicum fruit extract standardized to 2% capsaicinoids ingredient on parameters associated with weight loss. In a cross-over randomized controlled trial of 20 healthy, exercise-trained young men and women, a single serving significantly increased lipolysis (as measured by increased blood levels of both free fatty acids (two hours post-intake) and glycerol (4 hours post-intake]) 4. In an unpublished seven day open-label trial of over 150 adults with a BMI < 40, subjects took the same product with breakfast. The study participants reported that their appetite significantly decreased and their desire to exercise and their workout intensity increased. The product was safe and did not affect resting heart rate or blood pressure. Many, 5,6,7,8,9,10,11 but not all 12,13 human clinical trials have documented the benefits of red pepper or capsaicinoids for enhancing energy expenditure and/or fat oxidation in both normal and overweight adults. Red pepper extracts have demonstrated the ability to reduce appetite and unhealthy food cravings, 13 with stronger benefits reported for non-spicy food eaters 7 or if products were consumed in a beverage 10. In some studies, stronger benefits have been reported for individuals with either normal11 or higher 8 BMIs, or by individuals taking products during exercise9. Products were safely consumed in these studies. Capsaicin intake appears to be safely tolerated by most people. In human studies, for example, meals containing 0.3-10g red pepper have been consumed as a single meal or for up to two days, 30g of a chili blend containing 55% cayenne has been safely consumed daily for four weeks, and a red pepper soup containing 0.2-2.8 mg capsaicin has been consumed until satiety 6. A single dose of 1.03 g red chili pepper containing 2.56 mg capsaicin had no significant effect on blood pressure in healthy normal-BMI adults5. In an unpublished six-week dose-escalating study, the capsicum fruit extract standardized to 2% capsaicinoids ingredient was well-tolerated by overweight human subjects. Subjects reported no changes in their overall health, skin color, bowel movements, hair color, digestion, urination (frequency and/or burning), mouth or throat, breathing. There were no significant effects on blood pressure, vital signs, electrocardiograms or clinical chemistry (including liver function, lung function, kidney function and CBCs). Green tea extract is made from the leaves of the evergreen tree, Camellia sinensis. Green, black and oolong teas all come from the leaves of the same plant; their unique flavors and properties are the result of different processing methods. For green tea, the leaves are steamed, rolled and dried. This process inactivates the enzyme polyphenol oxidase, thus preserving the four principal polyphenol catechins in tea: epicatechin (EC), epicatechin gallate (ECG), epigallocatechin (EGC) and epigallocatechin gallate (EGCG). EGCG is the most abundant, accounting for 50-80% of catechins. When black tea is processed these polyphenols are oxidized, yielding other catechins, primarily theaflavins and thearubigins 1. A typical brewed cup (240 ml) of green tea can contain up to 300 mg catechins 2 and 30 mg caffeine 3 and also contains trace elements and vitamins. Tea has been used by humans for thousands of years, first as a medicinal herb and then as a beverage. Today, it ranks second only to water as the world’s most popular beverage 4. In a recent review, subjects drinking tea consistently reported improvements attention, alertness and arousal following tea intake and there were also indications of improved work performance and creativity 5. Because populations in which tea is regularly consumed appear to enjoy longer and healthier lives, 6 scientists have been interested in better understanding how tea might exert such effects. The flavonoid compounds, particularly the catechins, are thought to be responsible for the majority of green tea’s health benefits7,8,9,10. Intake of green tea, green tea extracts or EGCG have also shown promise for human subjects in increasing thermogenesis 11 and improving or maintaining a healthy body composition12. In overweight adults, intake of EGCG has increased fat oxidation 13,14,15, and a green tea extract increased whole body fat utilization during exercise in healthy normal BMI men 16. In addition, intake of green tea extracts or EGCG have supported healthy blood glucose/insulin levels in human subjects 17,18,19. The antioxidant properties of tea components have been studied extensively. These molecules are free radical and oxy species interceptors, iron chelators, enzymatic radical generator inhibitors, electron donors, and superoxide radical scavengers 20. Most antioxidant compounds are active in either the lipid or aqueous portion of cells. EGCG is unique in that it is a potent antioxidant in both aqueous and lipid environments 21. The antioxidant potential of EGCG is far greater than that of vitamin E and/or vitamin C 22. Green tea constituents may also work synergistically with other antioxidants, including alpha-tocopherol and vitamin C 22,23. Tea is considered to be safe when used orally in low or moderate amounts (up to approximately eight cups daily). Hydroxypropyl methylcellulose (HPMC), also known as hypromellose, is a derivative of cellulose. In oral products, HPMC is primarily used as a binder and for encapsulation as an alternative to animal-derived gelatin. In foods, it is used as a thickener and to stabilize oil-in-water mixtures 1. Hydroxypropyl methylcellulose is an approved food additive by the U.S. Food and Drug Administration (FDA) 2. Magnesium stearate, a salt of stearic acid, is widely used in cosmetics, foods, and capsules as a lubricating agent. In dietary supplements it may contain a mixture of magnesium salts of different fatty acids. Magnesium stearate is approved by the U.S. Food and Drug Administration (FDA) as generally recognized as safe (GRAS) (21CFR184.1440) and is generally regarded as being nontoxic following oral administration. Oral consumption of large quantities may produce a laxative effect or cause mucosal irritation 1. Microcrystalline cellulose (MC) is a purified plant fiber that is widely used in food products and in dietary supplement tablets to: 1) bind ingredients together, or 2) help the tablet disintegrate properly. Following ingestion, MC is not absorbed by the human body. Because it is not absorbed, it has little potential for toxicity. Consumption of large quantities of cellulose may have a laxative effect, but this is unlikely to be a problem for individuals consuming the small amounts included in dietary supplement tablets 1. Silicon dioxide, also known as silica, is added to capsule and tablet formulations to reduce clumping 1. Silica is found in many foods, particularly whole grains (oats and barley), sugar beets, sugar cane, soybeans, turnips, green beans 2. The average intake of silica in adults is 14-21 mg/day 3. The bioavailability of silicate additives is low 4. Silica that occurs in food and water has not been shown to cause any adverse effects 3. 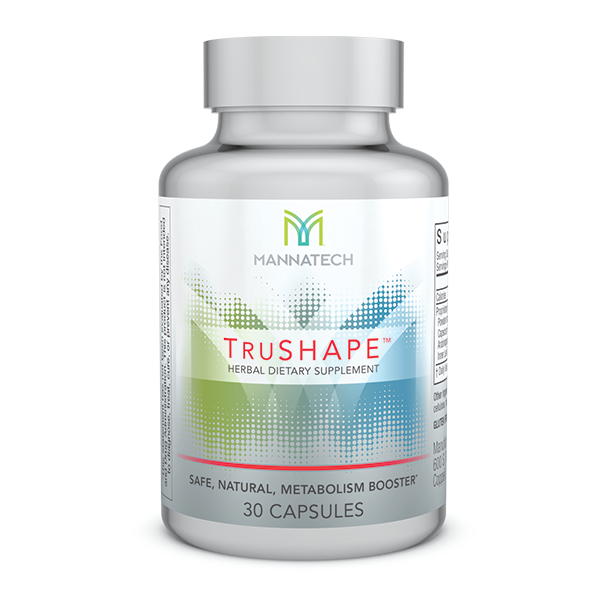 TruShape from Mannatech provide a stimulant-free, naturally powered metabolism boost!